President Donald Trump participated in a roundtable discussion on healthcare in the Roosevelt Room of the White House on Wednesday. 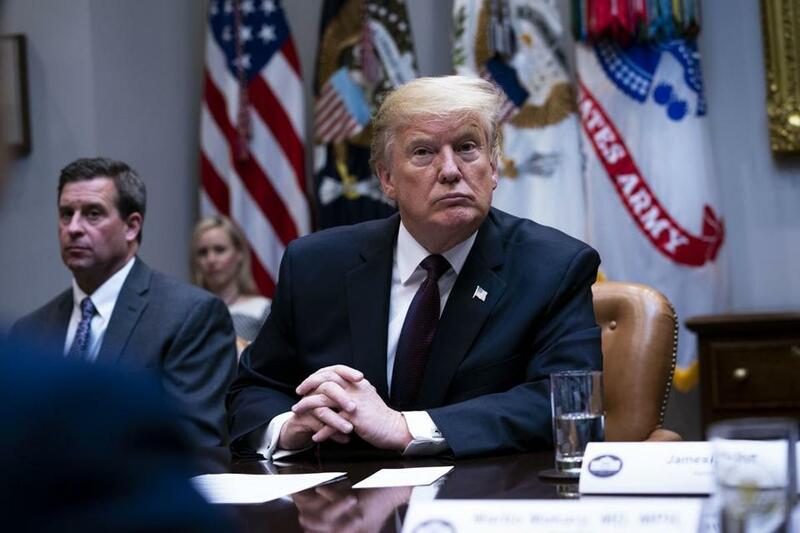 In a pair of tweets late Wednesday night, President Trump announced he would give the State of the Union address “when the Shutdown is over” following a weeklong standoff with House Speaker Nancy Pelosi. ....alternative venue for the SOTU Address because there is no venue that can compete with the history, tradition and importance of the House Chamber. I look forward to giving a ?great? State of the Union Address in the near future! 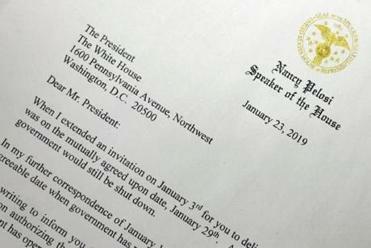 House Speaker Nancy Pelosi told President Trump in a letter Wednesday that his State of the Union address will be postponed until the government is fully reopened.